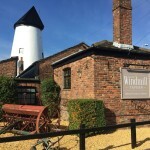 This charming 18th century Windmill set in the picturesque village of Clifton, between Preston and Blackpool is today a traditional inn and restaurant. Smiths Arms in Lea Town has a car park. The pub has disabled facilities, it serves food. Smiths Arms serves real ale. The pub has a real fire, it has free WiFi. 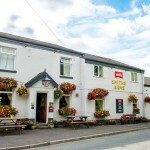 Smiths Arms is a member of Cask Marque. Sitting Goose in Lower Bartle has a beer garden. The pub has a car park, it has disabled facilities. Sitting Goose gives a warm welcome to dogs and their owners. The pub is a family friendly pub, it serves real ale. Sitting Goose has a real fire. The pub has free WiFi, it has a dart board. Sitting Goose is a member of Cask Marque. 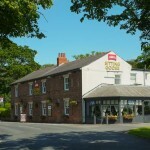 Derby Arms in Kirkham has a beer garden. The pub has a car park, it has disabled facilities. Derby Arms gives a warm welcome to dogs and their owners. The pub is a family friendly pub, it serves food. Derby Arms serves real ale. The pub has a real fire, it has free WiFi. 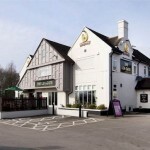 Derby Arms is a member of Cask Marque. Lea Gate in Lea has a beer garden. The pub serves food, it has an outside area. Lea Gate serves real ale. The pub has free WiFi, it is a member of Cask Marque.